The purpose of a turbidity curtain is to provide sediment containment while construction activities are occurring in or directly adjacent to a waterway or waterbody. Marine construction companies must be aware of applicable federal, state, and local laws, rules, regulations, or permit requirements governing the use and placement of silt curtains. 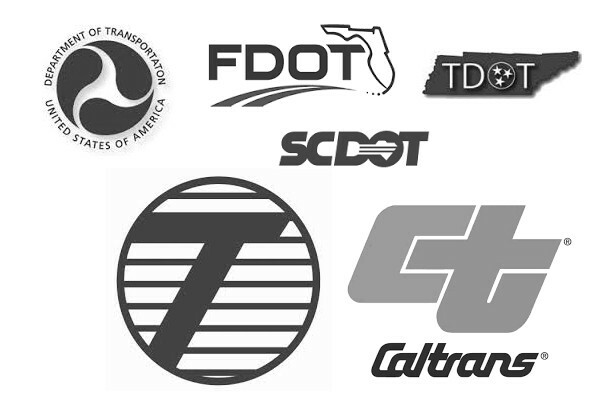 A good resource is each State Department of Transportation, aka D.O.T. Each State uses slightly different terminology when referring to turbidity curtains and types of curtains so it is important to know the subtle differences when communicating and submitting bids. The directory below points to each State DOT and specifies what terms are used for some of the States. California speaks in terms of Turbidity Curtain. Like most States, Connecticut uses the language “Turbidity Curtain” but has its wording for curtain classifications, which is: Type I (Flat Water), Type II (Lightweight), Type III (Middleweight)and Type IV ( Heavyweight). Delaware is the same as Oklahoma and uses the wording “Turbidity Curtain” and Type 1 , 2 and 3. FDOT and the marine construction industry in Florida refer to the terms Floating Turbidity Barrier and Type I, Type II and Type III. Iowa uses the wording Floating Silt Curtains to refer to turbidity curtains. Also instead of referring to Type I, II and III, that State uses Still Water and Moving Water. Like North Dakota, Floating Silt Curtain / Silt Barrier are used to describe the product. This State follows the same terminology as Florida, ie. Floating Turbidity Barrier and Type I, Type II and Type III. Nebraska uses the terms Turbidity Barrier in their official documents to describe the erosion control practices during marine construction. Like Florida, the common terminology used in New Jersey is Floating Turbidity Barrier. In the State of New York, it is customary to refer to Turbidity Curtain. Min. grab tensile strength (ASTM-D 4632): 124 Lbs. Floating Silt Curtain / Silt Barrier are used along with the two classifications: Still Water, Moving Water. The wording “Turbidity Curtain” and Type 1 , 2 and 3 are used. The South Carolina Department of Transportation refers to the terms Floating Turbidity Barrier and Light Duty, Medium Duty and Heavy Duty. The Tennessee DOT and marine construction industry refer to the terms Floating Turbidity Curtain. However, unlike Florida, there is a subtle difference when it comes to specifying the type of curtain: Tennessee uses digits instead of Roman letters: Type 1, Type 2 and Type 3. The terms typically used in Virginia are Turbidity Curtain.